The Forum also gave a stage to Putin and Xi to voice their opposition to the USprotectionist policies and economic predominance. In an attempt to sideline the US dollar, the leaders vowed to start using national currencies in their bilateral transactions. This is certainly not the first time Putin argues against the dollar’s hegemony. But the anti-dollar front is growing. In response to the recent clashes with Trump, Turkish President Erdogan recently declared his willingness to pursue non-dollar transactions in trade and investment with other countries, saying that the US is behaving like “wild wolves”. Iran’s supreme leader Ayatollah Ali Khamenei said on Twitter that the US sanctions on Iran, Russia and Turkey make a very strong point for expanding political and economic cooperation between the three countries, with an emphasis on “making economic transactions without the dollar”. What these two coterminous events (the economic forum and the military exercise) tell us about the future Sino-Russian ties is yet to be seen. However, the fact that the economic forum has been held at the same time of the military exercisedemonstrates that both countries are strengthening their economic as well as military relations with the aim of becoming a credible deterrence against the US. In other words, despite the existing frictions and the deep asymmetry between Moscow and Beijing, what emerges is a not-so-veiled attempt to create a strong strategic partnership in order to challenge a common enemy; exactly what “friends” would do in times of need. 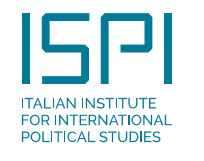 Sergio Miracola is a research fellow at the Asia Centre of the Italian Institute for International Political Studies. Eleonora Tafuro Ambrosetti is a research fellow at the Caucasus and Central Asia Centre of the Italian Institute for International Political Studies, Russia.